Picture this, a couple who had been together for 20 years. He had raised her kids as his own. Totally in love. 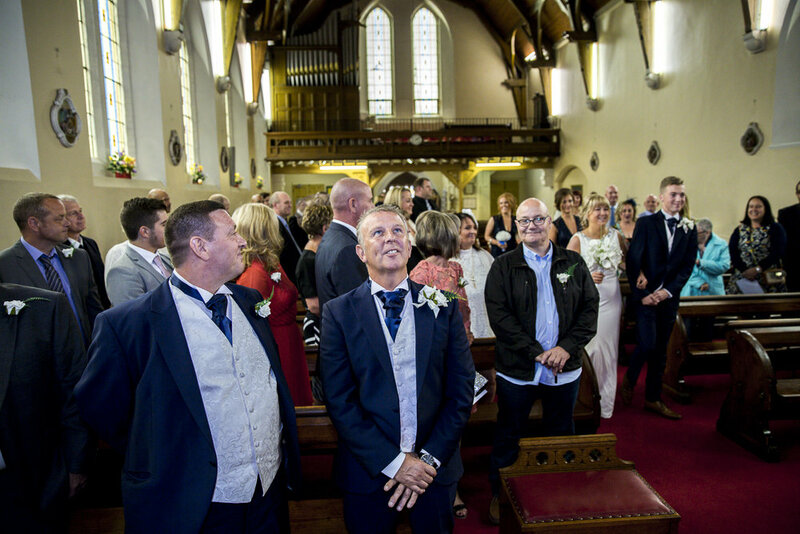 Brilliant mancunians… and finally getting married. And I was lucky enough to shoot their wedding in Gorton, then later at Denton Golf Club. A super day again. I really loved shooting this wedding. Minimal group shots which I prefer because it frees up so much more time for getting on shooting the day, the guests and capturing those little moments you just would miss otherwise. And Gary couldn't stop grinning all day! The reception was held at Denton Golf Club which is a lovely venue. But my favourite part of the day was the best man’s speech. He was a man mountain but completely broke down when giving his speech. A lovely moment and now captured forever by me.